is surrounded by a 4" toe plate to contain loose objects. 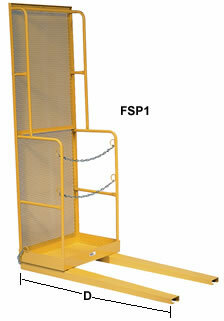 is restrained by a double safety chain and 42" high guard rails. 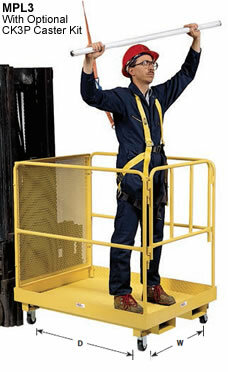 2" x 3 1/2" and are mounted on 23" centers; 17" between pockets. 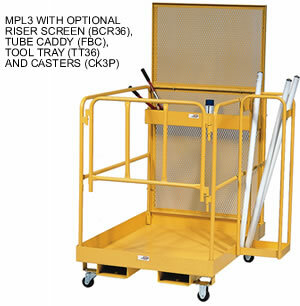 Stock Picker, and Narrow-Aisle Work Platform from your complete source for material handling equipment.